The ungrouped achondrite meteorite NWA 7325 originates from a differentiated parent body. Based on various analyses it has been determined that the meteorite shares characteristics with Mercury — or a parent body of similar composition to Mercury. 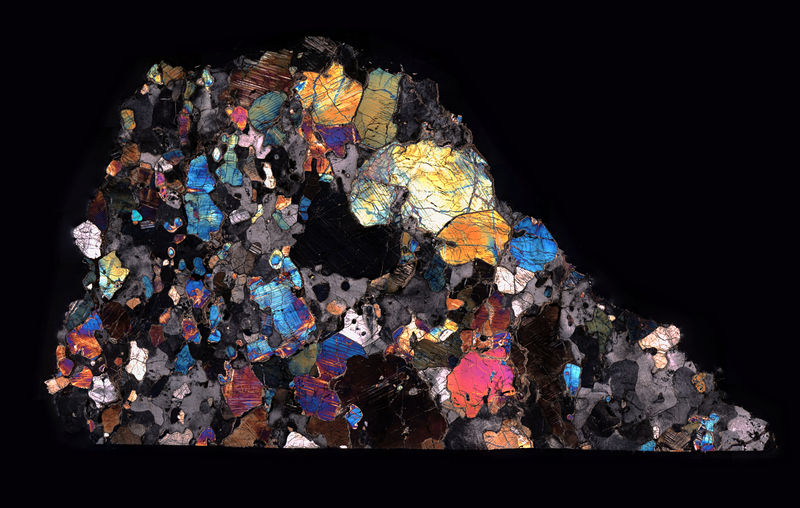 The thin section displays several areas which have trails of bubbles preserved in the minerals at the time of crystallization. More scientific details about NWA 7325 can be found at Meteorite Studies.